TORONTO – A big trend in digital transformation is on the customer experience side of things, but according to the CEO of Avanade, businesses and organizations have to remember the employee experience as well. 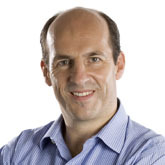 As a senior leader of Avanade since its conception in 2000, and its CEO since 2008, Adam Warby is specifically equipped to help answer this question. CDN had a chance to sit down with Warby to discuss accruing talent, the remote workforce, digital ethics and automation, and digital transformation. In the fourth and final part of our Q/A with Warby, he discusses the biggest trends in digital transformation and the future of augmented reality, mixed reality, and virtual reality. This is part four in a four-part interview. Part one on how businesses can tackle the skills gap and accrue talent. Part two on the remote workforce. Part three on artificial intelligence and digital ethics. The following is an edited transcript. ITBusiness.ca: What do you see as the biggest trend in digital transformation? Adam Warby: At the moment the biggest trend is on the customer experience side, and I think that is natural because it’s where the value is for most companies, especially when thinking about how you are going to complete the customer experience. I think increasingly that people are realizing that means your employee experience has to be good too, because you can’t serve a customer without a good employee experience. And then after the other big trend is around data. It’s very relevant to talk about artificial intelligence but the question is what data is being reasoned over? What is it intelligent about? So you have to be proactive with your data sources and strategy around how you own and manage data. ITBusiness.ca: If you haven’t already embraced digital transformation, is it too late? Warby: Not at all. One of my colleagues talks about us being in the first quarter of the digital transformation wave, and I think that is quite a good analogy. Many customers have just started their first generation of digital customer experiences. Many companies are actually now only just coming around on the next generation of e-commerce. Then you have to ask the question of whether or not we have really reinvented most industries and the way that systems support them. We still have a lot of opportunity and a long way to go in reinventing business processes and productivity in most industries, and we are looking forward to being apart of it. ITBusiness.ca: Earlier this year we had a chance to try out what Avanade is doing with the HoloLens. How do you view the HoloLens as a game changer for the workplace? Warby: You go back to the point about experiences. The world is moving from products to experiences; from fixed processes to flexible processes. We are seeing this visual and intelligent engagement in this immersive way, and I think in a lot of ways it’s a form of artificial intelligence and mixed reality because we are injected into that artificial view of the world. I’m thinking that these new experiences are very applicable to all customer service scenarios and that there are a lot of different approaches. But it’s just one part of a world of change around experience. ITBusiness.ca: Do you foresee a future where the HoloLens, or something like it, is an important part of every organization? Warby: I think the broad swath of sensors everywhere – in our clothing, the doors, the windows, the floors, everything – all of those things will combine to create intelligence. It comes back to intelligent automation, artificial intelligence, whichever way you want to think of it. Those multi-sensory, multi-intelligent devices, whether they be visual, touch, or voice, will all be part of our world and it’s going to be a load of fun. ITBusiness.ca: How far off from that future are we? Warby: That’s the 64,000 dollar question. Given my 10 years at Microsoft, I apply the Bill Gates rule of technology: you tend to overestimate the change in two years and underestimate it in 10 years. I think in the next decade we will have pervasive use of lets say, multi-sensory devices, in a lot of our work places, restaurants, hotels, planes, trains, automobiles, etc. We’ll have a different experience than what we do today. Not everywhere, but certainly a significant change in the next decade. ITBusiness.ca: This focus on augmented reality and artificial intelligence is evident. What about virtual reality? Warby: The experiments and innovation we have seen with virtual reality have been more limited than this mixed reality world and augmented reality world. I’m sure there are good virtual reality scenarios, but I think they are more limited because you are closing yourself off to the real world and you’re absorbing yourself in a virtual world. An example is that we worked with Treasury Wine Estates, the fifth largest wine producer in the world out of Australia, and one of the experiments they’ve done with virtual reality is to do a wine tour where you meet the wine maker. That’s a nice experience for somebody that might want to understand more about the wine they are drinking. There are scenarios, and if I could really transport myself then that could add value to my product and so on, but I think that it’s not as wide as mixed reality and augmented reality opportunities.